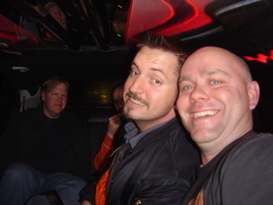 Are you being held responsible for Planning a Bachelor Party or Bachelorette? Not stressful at all right? Hiring the Best Limo Service in Hartford will set your mind at ease! No matter if you're the best man or maid of honor, you have to make sure this goes over with no problems. 1. 100% Fun. Let Hartford Limo Service take some of the weight off of you. 2. Plans for the Night - Loud like a lion or soft like a mouse. Doesn't matter, we are here to meet your every need. 3. Thoughts for the Night? Experiencing difficulty with Bachelorette Party Ideas? Give us a chance to offer assistance. 4. Large or Small. It doesn't matter to us as long as you are having fun. No matter what type of party it's going to be. Loud or Quiet, small or Large. Hartford Limo Service is here to meet your every need.